This is our spot for provisions for a picnic in Prospect Park – you can try everything before you buy. We also love their salted caramel gelato. Actually, everything is perfect. 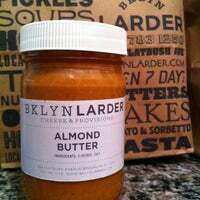 The almond butter has salt in it and is divine. I love the breakfast sandwiches (on a biscuit!) and the orzo salad. But then again everything is perfect about this place. The prepared foods may appear deceptively simple, but each one is incredibly flavorful. 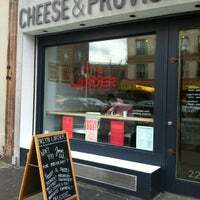 Good cheese selection with a reasonably knowledgable and very helpful staff. This place is the absolute best. The ham and gruyere sandwich is killer. Omg! The aroma of this sandwich shop is enough for you to want to eat everything in sight. Don't look for Subway prices. This is a gourmet sandwich shop with a organic food and treats fully stocked. SO MANY GOOD THINGS. Chorizo + manchego sandwich melts in your mouth, mac + cheese warms your tummy, mint chocolate chip gelato is refreshing with every bite. Great cheese selection. Pretty packaging. Pricey but lovely market with great sandwiches, cheese, pantry and prepared foods, ice cream, and more, with many products made in Brooklyn. 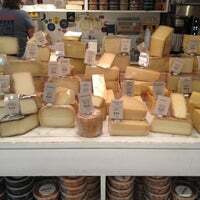 You can ask to add comte, gruyere, or provolone to any sandwich. Also, almond butter. Get it. And then make a almond butter & jelly sandwich on toast. Like a pb&j but way better. delicious soup! try the chicken noodle kale. 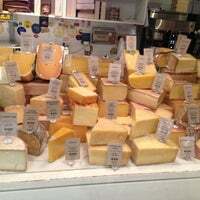 extensive variety of cheeses, condiments (local & int'l) & a assortment of sweets such as mini woopie pies, lemon bars, olive oil cake, etc. Amazing foods here, but ALWAYS check the prices. I just bought and returned a $13 box of caramel candies. Check the price first! If nothing else, at least get a fresh baked chocolate chunk cookie- slightly crisp outside, slightly chewy inside with slightly melty chocolate chunks. The cookie has great flavor and is a good size. The prepared foods are great for take-out dinner, especially the half chicken and the sautéed kale. 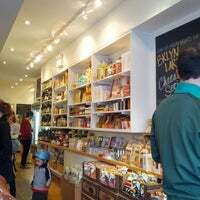 The Larder sells lots of imported products, but they definitely carry the best locally made cheese, crackers, pickles, chocolate, bread, etc. If we can't find it at the Greenmarket, we get it here. The Mortadella & Provolone with spicy Calabrian spread is easily in the top 3 of sandwiches I've ever eaten. I'm 32 and haven eaten many sandwiches. Go get the cheese twist, they're right by the counter. So salty and cheesy. A piece of heaven for an afternoon snack. Grilled cheese on wheat bread was amazing. It definitely satisfied my cheesy, salty mood. On this warm day, the lemonade was refreshing. AND the 50 cents truffle was a special treat! :) Yum! Thoughtful & surprisingly diverse selection of very high quality food items. Check out the beer, cider, hot food, & incredible ice cream! 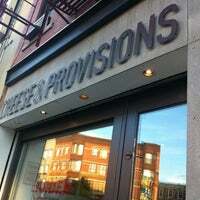 Must go before a Barclays Center event-- try a sandwich, local veggies and one of the craft beers in the back. 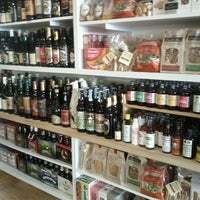 The specialty food shop serves as both a specialty gourmet shop and takeaway alternative to nearby sister pizza shop, Franny’s. Solid bread and cheese selection and the crucial made in Brooklyn set of treats. A great grocery. For when you feel like a special meal, or are entertaining friends, or want a really good cookie - it's great to have this spot a 5 min walk away. Grilled cheese comes in a pressed skinny baguette with crunchy bread & butter pickles. Savory and salty and om nom nom. Great cheese selection. However it is hard to really taste the cheese when they give your the tiniest samples to try. Nice staff too! So many wonderful things here, but the ham and gruyere sandwich is seriously one of the best things I've ever tasted. 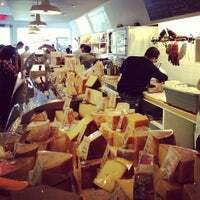 Maximum Brooklyn hipsteritude here, but a great selection of cheese, and awesome sandwiches made to order. The staff is very knowledgeable! 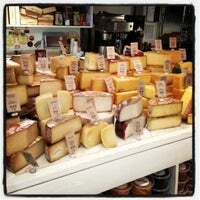 The cheeses are awesome, they even make their own sorbet and gelato! They also have a yummy selection of homemade pre-made foods and locally made bread. 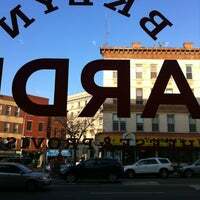 Bklyn Larder is an environmentally conscious business. It sells sustainably produced ingredients, uses recycled packaging material and is equipped with energy efficient appliances. They have heirloom tomatoes on hand all the time in the summer so get them on your sandwich. Get the green tomato and mozzarella sandwich but add bacon. You won't regret it. The greens and ricotta sandwich will change your understanding of what sandwiches are capable of. Tuna salad sandwich - get it with heirloom tomatoes - they just got them from the market today. Super tasty baked goods! Try the molasses cookie. Breakfast sammie and Ploughshare coffee. Just somewhere north of Fantastic. Favorites include: fig/olive tapenade, the bread selection, Mast Bros. chocolates, and the Early Bird "Aloha" granola. 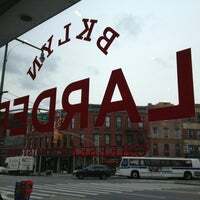 Go to BKLYN Larder, order the BEST sandwich: salami with provolone and spicy relish. you will not be disappointed. also, get a tiny box of salted caramels to go. Try the White Moustache yogurts. They're the best I've ever eaten. Great beer and cheese selection. If you cut me, do I not bleed cheese? Tomato Soup is always a win. Everything else seals the deal. The gianduja (chocolate and hazelnut, kids!) cookies are out of this world. Their cashew butter is phenomenal - I've switched over from peanut butter entirely. 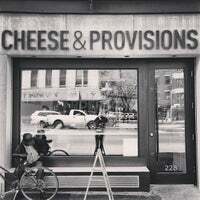 A retail cheese and provisions shop specializing in sustainably produced ingredients and hard-to-find grocery items. "They have everything. Lots of different olives. Chocolate covered everything. Awesome snacks." "So much love for R&D Foods! Inspiring pantry items, good coffee, yummy sandwiches, and perfect doughnuts." 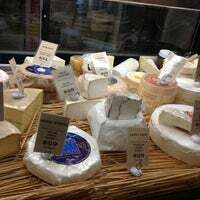 "The farmers market favorite’s official brick-and-mortar outpost turns out aged cheeses, hand-churned butters, and herbed pasta." "Sooooo yummy. Highlights include carrot cake, creme brûlée, vanilla bean, and honey. 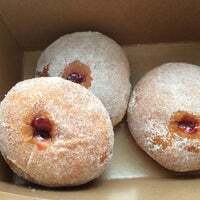 The staff here isn't super friendly, but the doughnuts are worth it!" 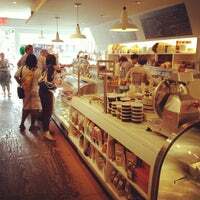 "Come for the coffee, stay for the baked goods. They've got the basics covered but also bring a solid arsenal of unique muffins and scones. The oatmeal raisin scone is a personal favorite of mine."